Early Irish in Old Albany, N.Y. 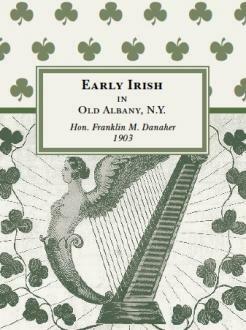 This facsimile edition of Early Irish in Old Albany, N.Y. was originally published in 1903 by Judge Franklin Danaher and the American-Irish Historical Society. Danaher searched for the Irishmen and Irish influences among the Dutch who settled in the area in the 1600s. Within this book, he documents the various influences of the Irish people, especially in what came to be the city of Albany, as the nation itself was rising.